Kathryn Eims is a partner at Eims Graham with over 25 years’ trial and appellate experience representing self-insured and state fund employers in litigated workers’ compensation matters. Kathryn has also served as Section Chief and Assistant Attorney General in the Labor & Industries Office of the Attorney General of Washington State. An aggressive advocate for her clients, Kathryn has successfully argued cases before the Washington State Board of Industrial Insurance Appeals, Superior and Appellate Courts, and the Idaho Supreme Court. Kathryn is skilled at advising employers and third party administrators on workers’ compensation and related employment law issues including FMLA, ADA, and state and federal discrimination legislation. A sought after speaker who has presented at various industry events and trainings, Kathryn has also has published appellate decisions and articles on important workers’ compensation related issues. 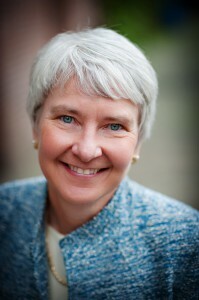 Kathryn is a member of the Washington and Oregon State Bar Associations. She is also a member of Washington Defense Trial Lawyers and the Washington Self-Insurers Association. Kathryn is a past member of WSIA’s Board of Directors as the Legal Representative and served as Co-Chair of WSIA’s Legal Subcommittee. Kathryn was Past President of the Executive Board of Women in Workers’ Compensation. Site Design: Kaleidoscope Design Inc.